The legend of the mermaid sirens that lured sailors to their doom is an ancient one. We’ve never seen it properly treated in a SciFi show…until now. The Curse of the Black Spot gave us a unique viewpoint on this ancient myth. Beyond that..a really solid episode that made us think and that’s why we watch Doctor Who. It’s a show with great actors and fantastic plots that challenges our conventional ways of thinking with new ideas. We just finished watching the first two episodes of season six ..wtf? Who is the little girl? 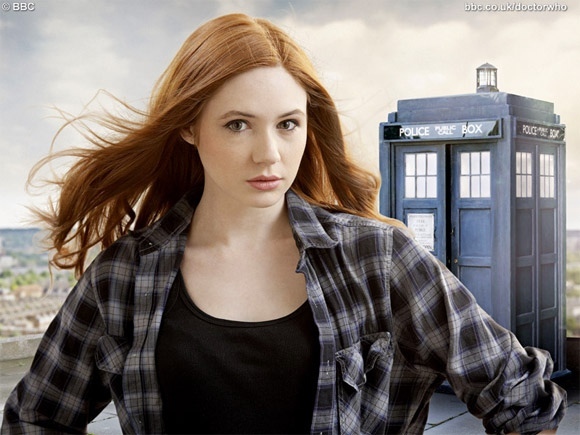 Is she a timelord? Is she amy and the doctors lovE child? How do humans kills the silence without knowing it? That makes no sense..and why did the doctor die? E We are still DISGUSTED by the FRAKKING IDIOTS at SyFy for cancelling this show..
but first let us lament the best of the best. From the very first episode to now — the very last, Eli has been our favorite character. He’s the guy we all associate with, the game player that never lived up to expectation..kinda like the Last Starfighter, only a heck of alot smarter. Eli is the man that figured out the final chevron. Eli is the one that figured it was better to run than to fight. And it is only fitting that he is the last man standing. SGU was a fine show, the last 10 episodes were among the best Stargate episodes in any version of Stargate SG-1, Atlantis or otherwise. There is more story to tell and more life left is this franchise. Apparently SyFy would rather broadcast wrestling and mixed martial arts than SciFi. We suggest that all SyFy subscribers cancel their subscription to the channel – since it doesn’t support SciFi any more. Doctor Who is on BBC America. And when Battlestar Galactica Blood and Chrome come on – you can just buy it on iTunes. No need to support the FRAKKERS that cancelled SGU is there? The future world of fringe is even stranger than the altermate world of Fringe, isn’t. Walter in jail? For what? Senator Broiles? And with a glass eye too? Olivia and Peter married? And WAlternate as the master terrorist? Wow so many twists and turns..
And holy cow..Walternate kills Olivia? Unbelievable.swift and shocking. And what? Peter never existed? Wtf? From beginning to end, this is one of the best Star Wars books EVER written. Sure, we kinds knew what to expect in the beginning, the good folks at BioWare have produced an awesome trailer showing Darth Malgus sacking the Jedi Temple and Coruscant. But that’s only a small part of the story. Who is the Sith on the cover of this book? Who is Darth Malgus? That’s what we get insight into in a brilliant tour de force. Reading about Malgus alone would have made this book awesome, but author Paul Kemp has also given us the flip side, a Jedi deceived with Aryn Leneer. Her story of attempting vengeance and then giving mercy is the perfect foil to Malgus’ Sith mastery. Along the way we find out about multiple layers of deception and truth with some solid dialogue and plot along the way. This book is so good, we can hardly wait for more from Kemp and hopefully more on Darth Malgus sooner rather than later.